Mobile, stable and pain-free joints are essential for movement and allow you to enjoy an independent lifestyle. Total hip replacement is a surgical procedure that sees the ball and socket joint of the hip replaced with artificial components. It aims to restore motion and relief pain from diseases of the hip joint to improve a patient’s quality of life. Typically, a surgical cut (incision) is made to the outer part of the hip to gain access to the hip joint. The native ball and socket is then disconnected from each other and the ball (femoral head) removed. The socket is then machined to form a perfect semicircular space and a metal shell impacted in place. Sometimes addition screws will be required to firmly attach the shell to the bone. An artificial socket (liner) then is inserted into the metal shell. The upper thighbone (femur) is then fashioned to accept a metal peg (femoral stem). This is usually secured in place by using special bone cement or by firmly impacting it into the bone. An artificial ball is then fitted to the top of the stem to form a hip joint. Multiple different sizes of the socket and ball parts can be tried using plastic trials until the perfect combination is found. Once the surgeon is happy with this combination, brand new parts are then inserted to form the final product. The soft tissue is then repaired and incision closed with stiches. The patient is typically encouraged to try and walk the afternoon of the operation. Total hip replacement is an operation that can relieve patients of pain and stiffness of the hip because of arthritis or other diseases. 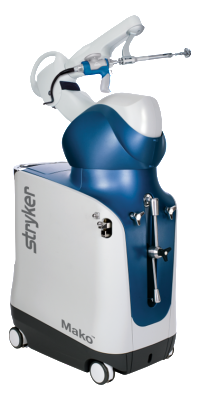 The MAKO THR takes advantages of the MAKO robotic and navigation capabilities to improve precision, reproducibility and consistency of modern total hip procedures. This innovative technique is now available to patients via Sydney Adventist Hospital. The MAKO robotic orthopaedic platform has proven to be extremely successful since its introduction at Sydney Adventist Hospital in October 2015 for partial knee replacements. 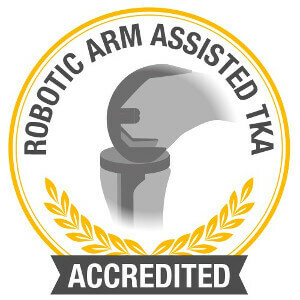 The robotic arm technology helps surgeons to achieve consistency, accuracy and predictable results. The MAKO total hip replacement protocol combines 3D pre-operative planning with live intra-operative kinematics feedback. 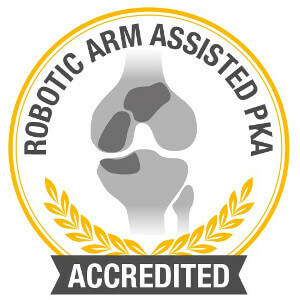 It also offers the additional advantage of robotic assisted acetabular bone preparation and implant insertion. More than 50,000 hips have been implanted using this technology in the US since 2006. Many peer review articles in the literature have successfully demonstrated improved accuracy as well as patient satisfaction associated with the use of this technology. 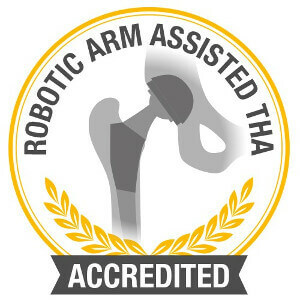 Through its innovative use of technology, Mako’s robotic-arm assisted surgery takes total hip replacement to a new level of precision, when compared to manual techniques. To find out more and to see if this technology is suitable for you, please contact us for an appointment. Typically we use a modified anterolateral approach to access the hip joint. The advantage of this approach is that it provides outstanding visualisation of the socket to allow accurate insertion of the socket component. It also avoids weakening the tissue around the back of the hip joint therefore negating the risk of damaging the sciatic nerve (major nerve to the leg). 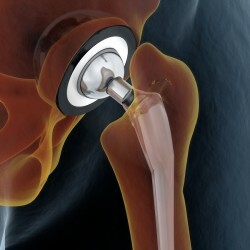 It also has the advantage of improved stability of the hip compared to some other approaches. Anterolateral approach also allows the surgeon to inspect and repair the abductor muscles (major stabilising muscles of the hip) if found torn during surgery. There have been some recent increased interests in the DA (Direct Anterior) hip approach. The theoretical advantage of this approach is that it is muscle sparing which may facilitate earlier recovery. Some of the disadvantages include that the access to the hip joint is more difficult and can be limited. Dr Lin was extensively trained with the use of this technique in the USA during his subspecialty fellowship, and may offer this surgical approach on suitable patients. Research has not shown any long-term advantage in clinical outcome and patient satisfaction of DA hips compare to hip replacement performed using other approaches. How long will my hip replacement last for? This important question is almost impossible to answer because there are many factors that influence the longevity of a well performing total hip replacement. Some of these include age, gender and diagnosis of the patients, the type of prosthesis and surgical techniques used. Superimposed on this is rapid rate of change in medical technology. The Australian National Joint Replacement Registry records the details of every joint replacement performed in Australia and has collected such details since 1999. As a general guide, the published rate for patients who require a second procedure on the same hip for any reason is 9.5% at 14 years. In another words, more than 90 people out of a 100 who had a total hip replacement 14 years ago still have the original hip in place. It is not unusual to see the modern hip replacements lasting into the second decade or even third. It is important to understand that everyone is different and that the technology is rapidly changing to improve overall outcome and survivorship of these implants. What won’t I be allowed to do? A well functioning total hip replacement should allow you to return to almost all activities except for high impact sports such as jogging, football and soccer. Water sports also pose a potential danger particularly in unpredictable environment such as the surf. For specific sporting enquiries, please discuss them with your surgeon. Some of the recommended sports include, cycling, swimming and cross training. We often see people return to bush or urban walking, social tennis, bowls etc. What materials will be used in my hip replacement? Generally speaking, the choice of articulation of a hip replacement would be metal on polyethylene, ceramic on polyethylene and ceramic on ceramic. For more information on what suits you best, please discuss with your surgeon. Using metal on metal articulation in a total hip replacement was once popular in the past. Some of these replacements have been found to be associated with early implant failure and in some instances, metal ion toxicity. A global recall was issued for a specific type of metal on metal implant. Dr Lin does not use metal on metal hip replacements. If you previously have had a metal on metal hip replacement you should be having regular check-ups by an orthopaedic surgeon.